As part of its response to alumna Glynnis Kirchmeier’s human rights complaint, UBC has denied any discrimination in how it handled sexual assault reports. The university said it “reserves the right to apply to dismiss the complainant without a hearing,” but has not done so yet. Filed in March 2016, Kirchmeier’s complaint outlines the various cases of sexual assault or harassment of female students by alleged assailant Dmitry Mordvinov — a former PhD student who was expelled in 2015 — that were reported to UBC. Beside the Mordvinov cases, the complaint also represents any female students who communicated a concern about sexual misconduct by a male student or employee to a UBC’s administrative staff or faculty between January 8, 2014 and November 16, 2015. To address the different groups, UBC split its response into two sections. The first one outlines the university’s relevant policies and resources, including the university's sexual assault policy and its mandated offices which were not available during the handling of these cases. She also noted the exclusion of interim President Martha Piper’s apology in acknowledgement of the CBC’s investigation into the university’s delayed actions, as well as the process review of UBC’s response to sexual assault and harassment reports. Conducted by barrister Paula Butler in late 2015 to early 2016, the review found that UBC lacked clarity around both its policy and processes due to too many contact points for complainants, lack of clarity within Policy 3, as well as complainant and staff’s unfamiliarity with it. The report says there were “clear delays” in the process, which were caused by the “absence of clear timelines” in Policy 3 and “human errors,” which added to the perceived silencing. Butler’s review does not find “an abuse of process or failure of procedural fairness” in UBC’s handling of the reports. Kirchmeier said the review was to measure whether UBC has followed its policies, and not whether discrimination has occurred. The second section gives the university’s account of how the Mordvinov cases were handled, which Kirchmeier disputed on various points. UBC claims in the response that that’s untrue. Instead, they say, the issue was about the timeliness of Kirchmeier’s information. “By her comments, Ms. Kay intended to caution the students against making serious allegations of [Mordvinov] as a perpetrator of sexual assault when those assaults are still unsubstantiated, and intended to convey the fear those allegations could cause,” reads UBC’s response. She expects the university to apply for a dismissal of her complaint. If that doesn’t happen, UBC and Kirchmeier will move forward to the disclosure period, where both sides are required to release documents that they will rely on to support their argument. Her deadline would be November 22, but it is unclear when the university’s would be. 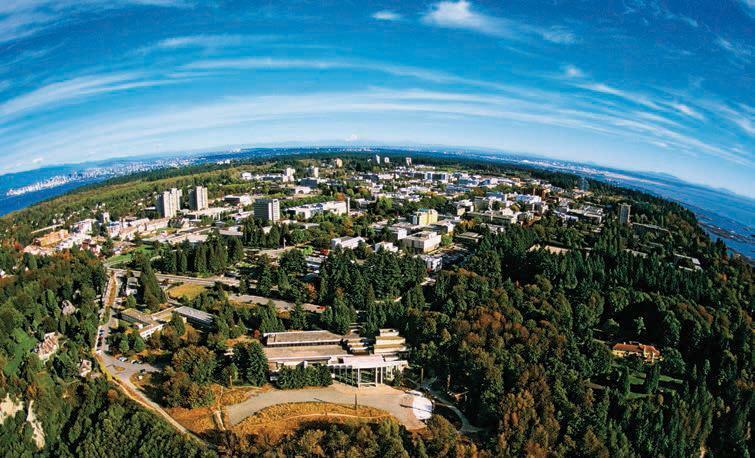 UBC has declined to comment on its response to Kirchmeier’s human rights complaint. This article has been updated to clarify Butler’s process review.